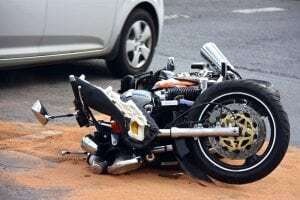 Sardinia, NY (October 1, 2018) – One man was reported to have crashed his motorcycle into a utility pole Sunday morning, September 30, subsequently resulting in his death, according to the Erie County Sheriff’s Office. 59-year-old Christopher Kruzicki, of Arcade, was involved in the crash that took place on Schutt Road at around 7:30 a.m. Emergency medical personnel were immediately on the scene where they found Kruzicki down in the roadway. The victim had been thrown several feet from the bike due to the impact of the accident. Tragically, officials pronounced Kruzicki dead at the scene shortly after their arrival. The Erie County Medical Examiner’s Office is in charge of conducting the autopsy to determine the exact cause of death. The Sheriff’s Office Crash Investigation Unit is in charge of the investigation that is currently looking to determine whether or not factors such as mechanical failure or if any other vehicles were involved in the crash. We wish, above all else, to extend our deepest sympathies and utmost compassion to the loved ones of Christopher Kruzicki during this tragic time. A New York motorcycle accident will often result in devastation, and we understand that very well. The investigation will focus on several possible reasons for this accident such as medical issues with the victim, excessive speed, intoxication, mechanical failure, or the involvement of another party. In the event that someone else may have forced the victim to crash, there will likely be grounds for a New York personal injury claim available to the family members of the victim. Similarly, if mechanical failure is at fault, the victims’ family may have a lawsuit against the manufacturer. The important thing to understand that is that you have rights. We here at Hach & Rose understand the absolute devastation that comes from the unexpected loss of a loved one. During such a time, the physical, emotional, and financial toll can be immense, and we are here for you to offer our knowledge and experience in dealing with negligent parties and other entities. If you have lost a loved one in a New York motorcycle accident, call us at 212-779-0057 today.